Athletic Equation will be hosting its 11th Annual 12-Hour ATR on 15 SEPT 2018. The field will be limited to 100 Runners. We will be building off of the successes of our other ATRs. 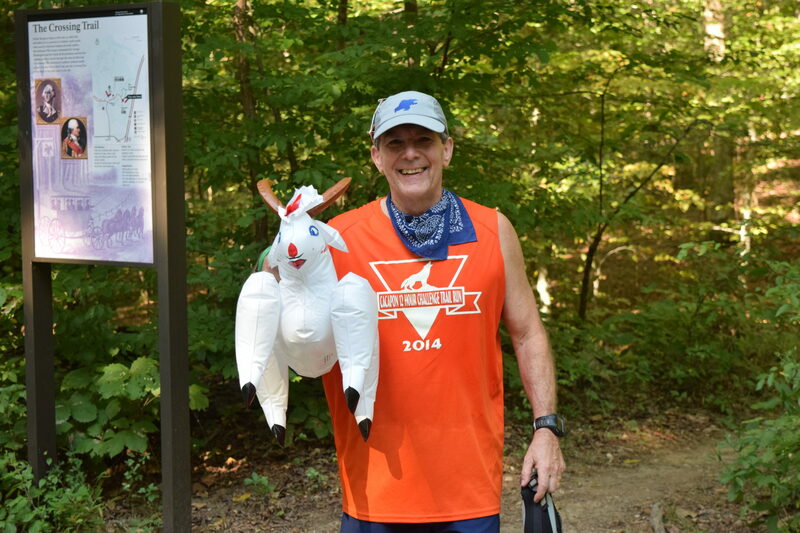 In our first 10 runnings, participants have claimed over 23,000 miles on the Prince William Forest Park trails. This year's 12-HR ATR is combined with the "ICY-8" HR ATR, MT. TAMMANY 10!, 24HR ATR, and OSS/CIA 50M Night Run, to conclude the 2018 Ultrail Series. The 12-HR ATR will be held in Prince William Forest Park (PWFP), www.nps.gov/prwi just outside of Triangle, VA in Prince William County. The Park is 17,000+ acres and has over 40 miles of trails. The course will be on a DIFFERENT set of trails than our 24-Hour ATR. The course will be a 6.5 mile looped figure eight (8). It is designed to challenge the novice and experienced trail runners alike. It will be 100% trails, some single track, and some fire road. The approximate elevation gain/loss is 650 feet per loop. The terrain will have undulating hills with some nice ascents and descents to keep trail runners on their game and keep them honest. There will be rocks; there will be roots, dirt, and mud if it rains. There will be two aid stations. The primary aid station will be the Start/Finish. It will have a plentiful array of sustenance (food) to cover everyone through out the event. The second aid station will ONLY have H2O. The 12-HR is concluded with the awards ceremony and Post-Race Meal for participants and crews. Our local community supporters include REI and The Running Store! Create an environment where experienced and novice trail runners alike can enjoy the safety and camaraderie of endurance trail running. Raise awareness of our National Parks. 2-Person Team $190.00 ($95.00/Person); All Male, All Female, and Co-Ed. Run as many miles as you WANT in 12-Hours. Last lap to be completed by 12-HRs. Only solo runners can run Back - 2 - Back loops. Hydration is REQUIRED on the Course at ALL times. LODGING: Camping is available at Prince William Forest Park at the Oak Ridge Camping Area for $15.00/night. Go to the Lodging link for convenient accommodations. HYDRATION: All trail runners will be required to carry water with them out on the course. The means of transport is up to you. NO WATER EQUALS NO RUN! Your Safety is our most important concern. GATE FEES/PARKING: For your convenience, we will be including this into your race fee ($5/car) for the 2014 running of the 12-HR ATR. Park admittance is $5.00 per Car. We do recommend carpooling where possible with Teams and crews. The National Park Budget is cut every year. Take exit 150B. This will put you on Rte. 619 West. After 0.5 miles, make a Right into the Main Entrance of the Park. Drive through the Gate for about 1.3miles. You will see the Visitor Center in front of you. Bear to the Right. You will see a sign that Says “Telegraph Road Pavilion”. Stay on this road for 0.5 miles an we will each Parking and the Start/Finish location. After 0.75 miles, make a Right into the Main Entrance of the Park.